Environment impacts performance capabilities of entrepreneurial firms. The typical entrepreneur dreams of creating a business that creates wealth; however, he can only do so if he survives to see his idea blossom. Further, the more accomplished he is, the more likely he would like his idea to blossom fast, even if it means risking failure by trying to get too big too soon. Entrepreneurs with a high-opportunity-cost prefer a shorter time to success (or failing more quickly), whereas entrepreneurs with fewer outside alternatives will choose less aggressive strategies, and, consequently, linger on longer. In this research, the authors assume that there are essentially two possible outcomes for a startup. It can fail or it can succeed in a big way through an IPO or an acquisition on very favorable terms. Both of these outcomes are treated as “absorbing states”; if neither happens, the fi rm merely survives for another period. By systematically linking the outside options that an entrepreneur might have with both failure and cash-out, Professors Nandkumar and Arora throw light on how the motives with which entrepreneurs start firms relate to subsequent performance. The authors thus depart from the common practice in the literature of using survival as a measure of entrepreneurial performance, which obscures the relationship between entrepreneurial characteristics, entrepreneurial strategies, and outcomes. Survival, with an opportunity cost, merely keeps startups alive with the option of trying for a cash-out later. But striving for a cash-out too soon also increases the risk of failure: while trying to succeed too soon, startups could dry out the cash too soon as well. Given this departure from earlier streams of thought by not treating survival as desirable in itself, one has to understand what motivates this exit. Many entrepreneurs are very accomplished and have signifi cant outside opportunities. Professor Nandkumar explains a “Entrepreneurs with significant outside opportunities are willing to risk failure at the cost of trying to succeed early. These high opportunity-cost entrepreneurs are interested in ventures with substantial “upside” potential, which if not quickly realised, goads them to try their hand at something else rather than linger on in a venture with modest prospects.” Thus, it systematically links personal objectives of entrepreneurs with the performance of the firms they create. Survival, with an opportunity cost, merely keeps startups alive with the option of trying for a cash-out later. But striving for a cash-out too soon also increases the risk of failure: while trying to succeed too soon, startups could dry out the cash too soon as well. Also, haste may make waste, and entrepreneurs can make costly irrecoverable errors such as hiring the wrong set of people. The hand-collected, novel dataset of information security startups that entered the information security market (ISM) between 1989 and 2004, points towards entrepreneurs with high opportunity costs cashing out more quickly, aggressively establishing the potential of the ventures, and accepting a higher risk of failure. Professor Nandkumar points out that the key defining feature of startup hubs such as Silicon Valley or Bangalore is the entrepreneurs themselves who have significant outside opportunities or high opportunity costs. Higher opportunity costs of entrepreneurship will also trigger more of this behaviour. What is alternatively proposed is that the outcome in any period is a result of an “investment” decision made by the entrepreneur in each period. Thus the authors suggest startups that fail quickly are also more likely to grow quickly while not suggesting that failing firms are poor-quality firms, and thus would grow less quickly—a key difference from previous thinking. There are essentially two possible outcomes for a startup. It can fail or it can succeed in a big way through an IPO or an acquisition on very favorable terms. Both of these outcomes are treated as “absorbing states”; if neither happens, the fi rm merely survives for another period. “Entrepreneurial opportunity cost is a case in point. On one hand such costs raise the threshold for staying on; on the other hand, they affect the strategies of entrepreneurs, which in turn affect measured rates of survival and cash-out. High-opportunity-cost entrepreneurs put less value on surviving to try again and, hence, care less about failure.” says Professor Nandkumar. Thus the impatience for success and higher risk taking of higher opportunity-cost entrepreneurs can also be noted in differences in time preference. For example, entrepreneurs who discount the future more heavily, perhaps because they are more accomplished, will appear more impatient for success even if it means risking failure. Thus, the broader intuition points towards the fact that opportunity costs of entrepreneurship influence both successes and failures. Failure and success are equal flips of a coin for entrepreneurs with high opportunity cost of entrepreneurship. 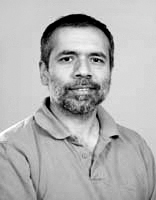 The principal contribution of the research, according to Professor Nandkumar is that in order to understand entrepreneurial strategy, entrepreneurial opportunity cost is also important to entrepreneurial outcomes, especially in contexts where entrepreneurial ventures have high upside potential, such as in innovation based ventures. 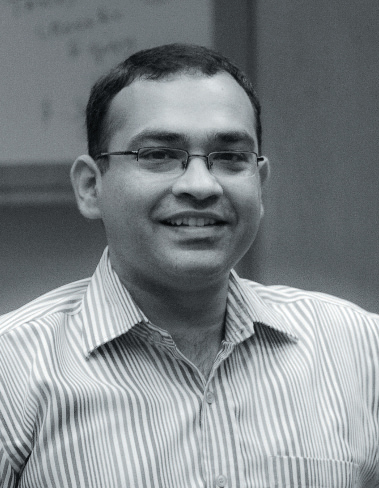 Anand Nandkumar is Assistant Professor of Strategy at the Indian School of Business. Ashish Arora is Rex D. Adams Professor of Strategy at the Fuqua School of Business, Duke University. Nandkumar, Anand and Arora, Ashish. Cash-Out or Flame-Out! Opportunity Cost and Entrepreneurial Strategy: Theory, and Evidence from the Information Security Industry (April 25, 2011). Indian School of Business Working Paper. Mridula Anand (MS, Stanford University) is a writer with the Centre for Teaching, Learning, and Case Development at the Indian School of Business.